France: Where do they go from here? What are we going to do about France? What is France going to do about Philippe Saint-Andre? Two years since he took over from Marc Lievremont, the former Gloucester and Sale coach has presided over the worst calendar year of the French team in modern history. Two wins from 11 matches is an appalling indictment of Saint-Andre’s two years in charge, particularly when the victories were against Tonga and Scotland, both third tier nations. France likes to think of itself as a first tier nation but as Jacques Verdier, editor of Midi Olympique, wrote on Monday, that status is now under threat. That was confirmed a few hours later when the latest IRB rankings saw France drop a place to sixth, behind Wales, England and the Southern Hemisphere’s big three. Bernard Laporte, director of rugby at Toulon and the man who coached France to World Cup semi-finals in 2003 and 2007, was asked that question on a radio show last week. He blamed the Top 14, saying the French championship placed too much emphasis on negative, defensive rugby. He’s right. On its day, the Top 14 can produce compelling rugby, but it can also throw up games so sterile and risk-averse that by half time one almost loses the will to live. Why? Because so much is at stake in the Top 14, financially. That’s why French clubs perform better in Europe, because they can play without pressure. A poor Heineken Cup campaign won’t have serious financial ramifications for the French clubs (especially when the Top 14 announces next month what is expected to be a monstrous broadcasting deal). However, the thought of relegation to Pro2 keeps club presidents awake at night. Additionally, British and Irish fans often fail to appreciate the parochialism in the French game where local bragging rights count for far more than beating the best Europe has to offer. 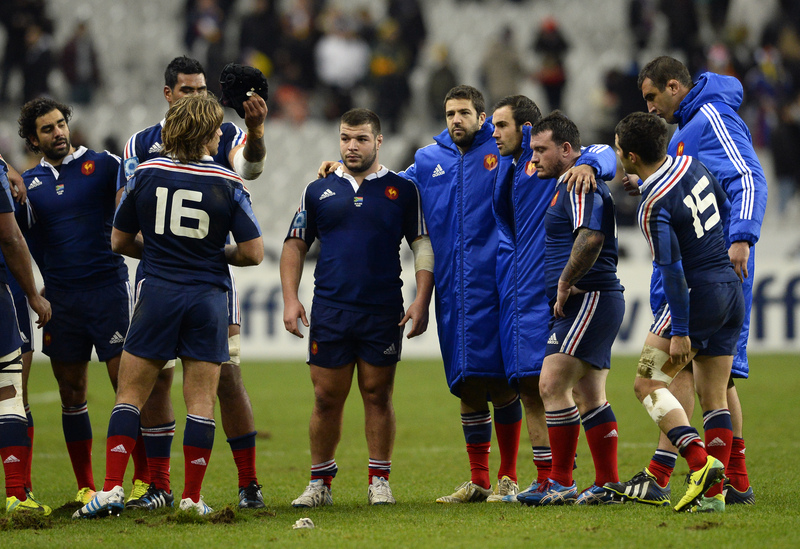 The question that was at the heart of Midi Olympique’s editorial on Monday was “What do we aspire to?” It’s a question that the FFR and the LNR have been discussing for the best part of the year, ever since France collected their first Six Nations wooden spoon in 14 years. 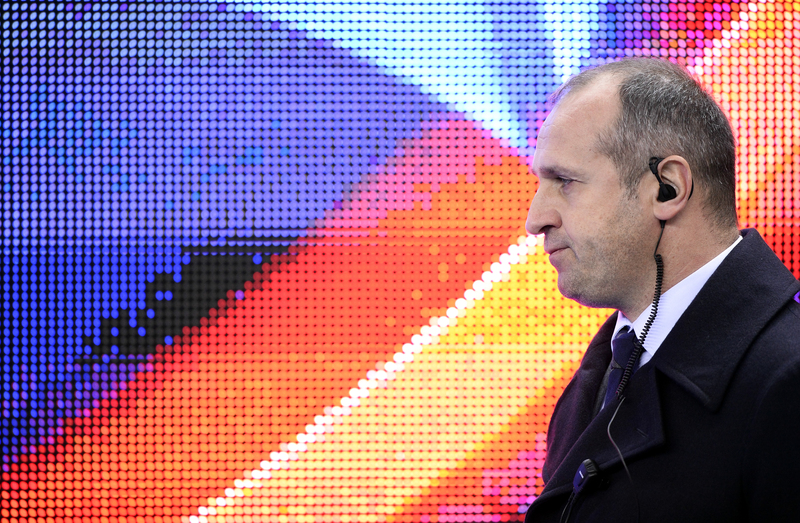 But nothing has been resolved, and now comes the latest stand-off over Europe, with LNR president Paul Goze yet to respond to the FFR’s declaration on Thursday that French clubs will participate in next season’s Heineken Cup. MO’s Verdier confessed he was frightened that the Top 14 will win out, to the detriment of the national team, who are destined to become increasingly “insignificant” in the seasons to come. That might not transpire if the French team can return to winning ways but for that to happen risks need to be taken, by both the clubs in their playing style and Philippe Saint-Andre in his team selection. He could start by picking Geoffrey Palis as his full-back for the Six Nations. The 22-year-old Castres player scored all of his side’s points in their 20-16 win away at Montpellier on Saturday – the first time Montpellier have been beaten at home in the league this season – and he’s also a fast, creative and intelligent footballer. Selecting Palis as his goal-kicking full-back would allow Saint-Andre greater freedom in his choice of half-backs. The Morgan Parra/Remi Tales axis failed to fire over the three autumn internationals, and it’s time Saint-Andre gave Montpellier’s Jonathan Pelissie an opportunity to show what he can do at scrum-half rather than carry on with Parra – who faces three months on the sidelines with a knee injury anyway – simply because he’s a goal-kicker. Partner Pelissie with Perpignan’s Camille Lopez, move Brice Dulin from full-back to wing, along with Sofiane Guitoune on the other flank, and pair Wesley Fofana with Gael Fickou in the midfield. 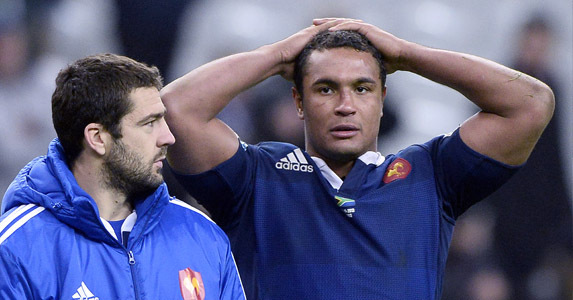 Suddenly France have an ambitious and exciting backline with an average age of just 23. Go on, Saint-Andre do it, it may be the only way to stop France slipping further down those rankings.